Alan Leech is one of Ireland’s leading tenors and choral practitioners. Since graduating from UCC in 1995 he has been in consistent demand both as a performer and choral specialist. As well as chamber music Alan has also performed with most of Ireland’s leading orchestras and choirs in oratorio and concert performances. Monteverdi’s Vespers, Mozart’s Mass in C, Haydn’s Nelson Mass & Heiligemess, Barber’s Songs of Kierkegaard & Tippet’s ‘A Child of our Time’. He has also performed with Opera Cork, Opera South, Anna Livia Opera and Opera Ireland including many roles as well as professional chorus. Roles include Acis in Handel’s Acis & Galatea, Tamino in Mozart’s The Magic Flute, Goro in Puccini’s Madame Butterfly, and El Remondado in Bizet’s Carmen. Apart from his performance career, Alan has a true passion for education and choral development. 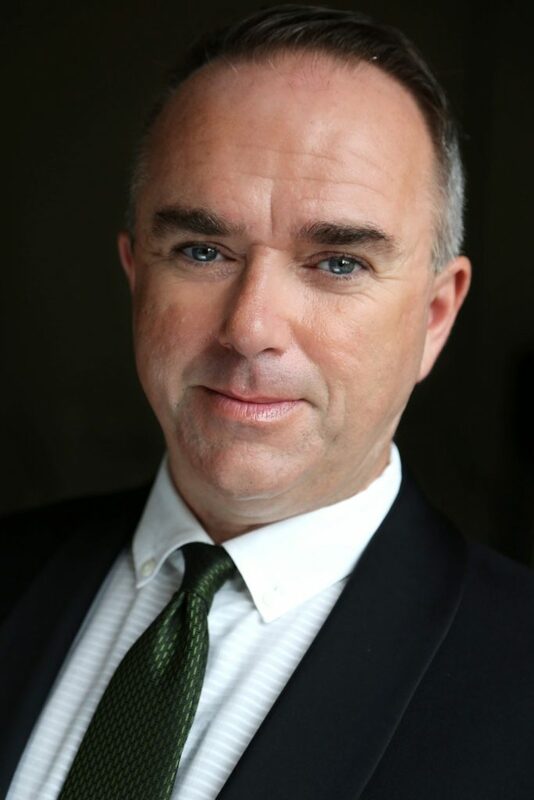 He is much in demand as a voice teacher, and has been teaching singing at the Leinster School of Music & Drama since 2003 where he also lectures in Aural Skills, Repertoire in Context and Choral Conducting for Griffith College’s H Dip in Music. Alan also teaches Voice at undergraduate level in Mater Dei Institute, a college of University College Dublin. In 2015 Alan was invited to lecture both undergraduate and postgraduate Montessori teachers in the Creative process of Music at St Nicholas Montessori College. Working both as a professional singer and singing teacher is central to Alan’s significant contribution the greater choral community in Ireland. He has worked as a vocal consultant for the Association of Irish Choirs on their annual Choral Conducting Summer School. Since 2007 the AOIC have invited him to work as tenor coach with the Irish Youth Choir, and recently as a vocal coach with the exciting new Irish Youth Chamber Choir. In 2012 Alan joined the teaching staff of the Ulster Youth Choir. Alan is also an education facilitator for Chamber Choir Ireland’s Educational Outreach programme. A highlight of this role has been working on the ‘Sing’ project since 2007 in conjunction with the Axis, Ballymun, which brings together groups of older people to develop choral skills. Combining singing, pedagogy and conducting skills has led to many invitations to work with a varying range of choirs and ensembles nationwide; the Mornington Singers, Culwick Choral Society, Limerick Choral Union, Anima Chamber Choir, Dublin, Tribal Chamber Choir, Galway, Cois Cladaigh, Galway, Aspiro, Carlow, Cork Chamber Choir, Pfizerphonics, Cork and Tredagh Singers in his native Drogheda. Outside of the traditional choral world Alan has facilitated workshops in Coolmine Rehabilitation and also Cork prison. County Council, Dublin City Council, South Dublin County Council, Tipperary County Council, Temple Bar Cultural Trust and Bealtaine Festival, Music Generation Offaly/Westmeath & Music Generation Louth. Mixing natural pedagogic skills with conducting and singing is what sets Alan apart. Working with 3rd level students, adult choirs, older people and especially with young singers, both primary and post primary, in one of the widest ranging repertoires of all the genres is fulfilling, stimulating and rewarding.